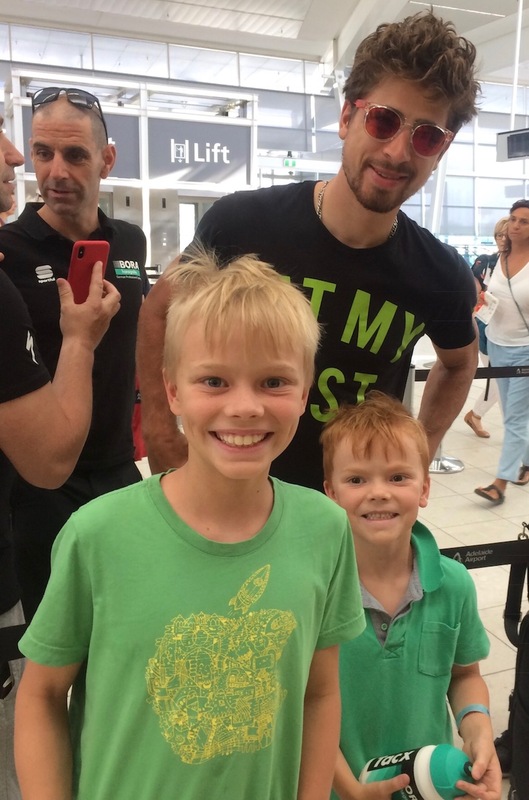 Tour Down Under 18 - Lawson & Campbell Browne at Adelaide Airport with one particular Peter Sagan who was departing Adelaide after the TDU. 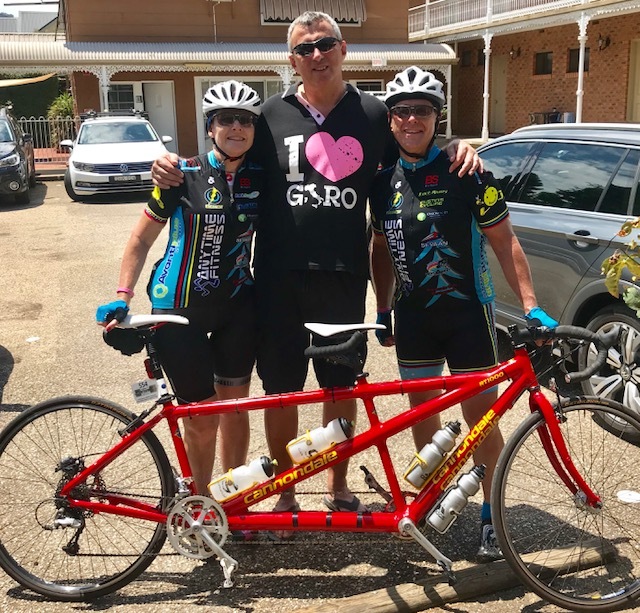 Peter's t shirt reads ... "Eat My Dust"
* Audax Alpine Classic @ 27 Jan @ Bright - Melissa & Peter Budd teamed up with Frank Signor for the Audax Alpine Classic over the Australia Day weekend. Conditions were hot & humid for the early 6.30am departure with Frank doing a super job up the Mount Buffalo climb outside Bright. See the picture below taking team time trialing to a new level. 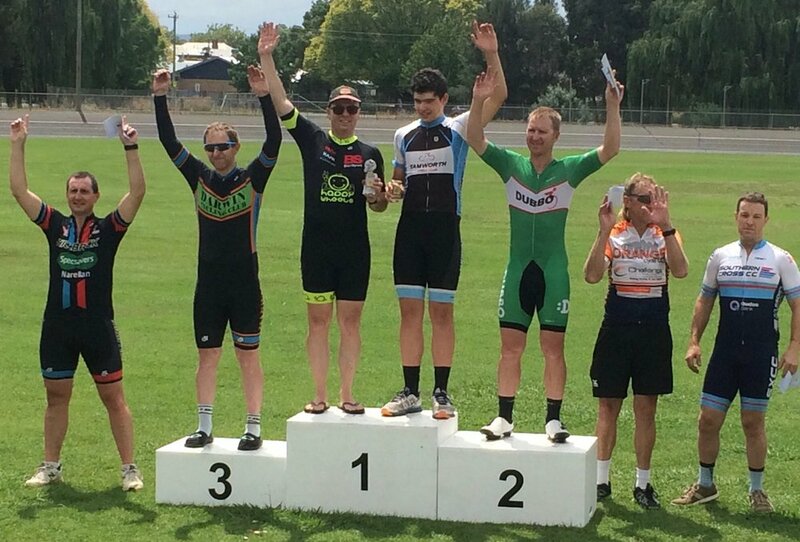 * Orange Track Open @ 27 Jan - David Browne took two victories including the Ron Bolton Cycles Wheelrace Final. 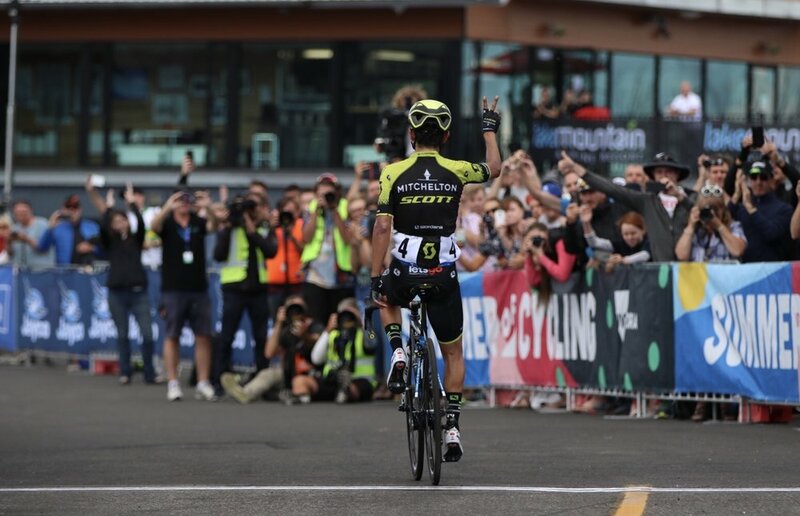 * Herald SunTour 30 Jan - 4 Feb - The BiciSport quartet of Robyn Sprouster, John Elderfield, Alex Simmons & Mike O'Reilly notched up another HST that concluded on 4 February. 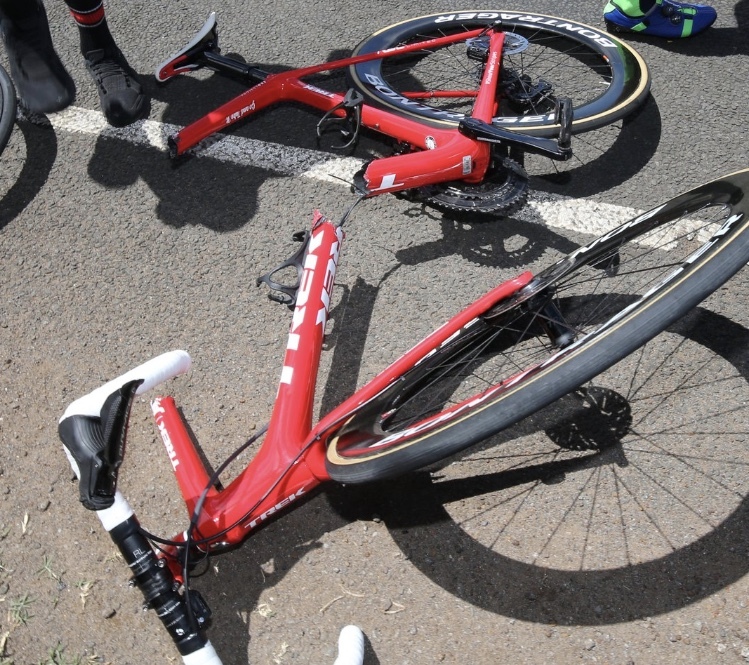 Herald SunTour 18 Stage 1 - Colac to Warnambool ... strong crosswinds made for exciting racing and a crash 15k from the finish. The rider was not seriously injured but retired from the HST (photo CJ).